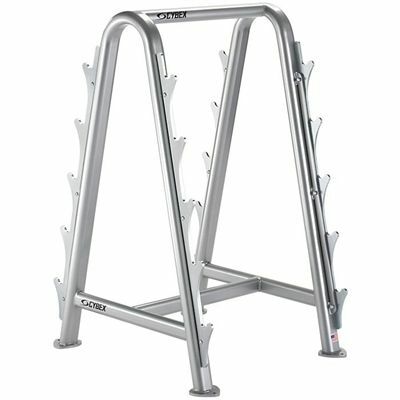 The Cybex Free Weights barbell rack features an upright design that provides more ergonomically efficient racking of barbells. It can hold up to 10 barbells and is made from a highly durable material. Cybex manufactures top quality equipment that has been widely popular for many years among athletes of major leagues such as NHL, NFL and many other. Upright design provides more ergonomically correct racking of barbells. for submitting product information about Cybex Free Weights Barbell Rack We aim to answer all questions within 2-3 days. for submitting product information about Cybex Free Weights Barbell Rack. We aim to answer all questions within 2-3 days. If you provided your name and email address, we will email you as soon as the answer is published. for submitting product review about Cybex Free Weights Barbell Rack.